Only putting out a small amount of toys at a time. 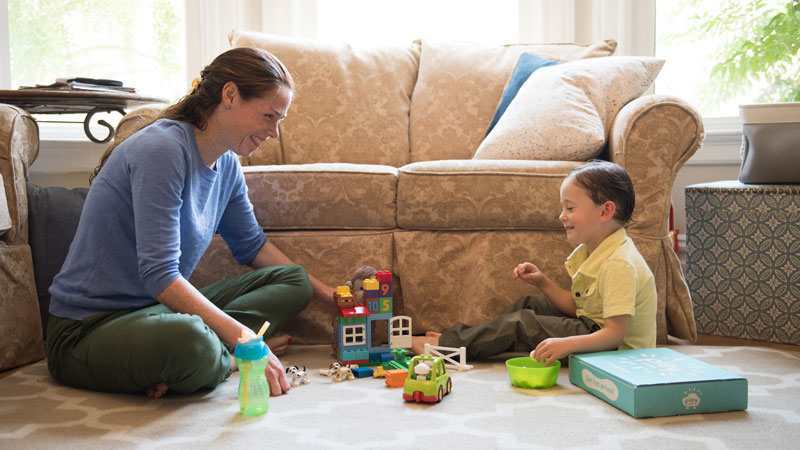 By limiting the toys available, you will will find that they are more likely to choose something to play with it than when they have access to everything. Rotate the toys that you do have out. Limiting the toys is great, but changing them frequently keeps them exciting. I normally change ours over every 3-4 days depending on how much time we have spent at home. A good way to organize a toy rotation system is to split them up into clear plastic containers. When you want a new lot of toys, bring out a new box and move the old box to the back. I have 5 of these at the moment and we rotate though them over a period of two to three weeks. Organize toys into categories (puzzles, dress ups, cars, dolls, craft etc) and bring them out one at a time. You will find that will be excited about getting out the dress up box for the morning and will be more engaged with the toys than if they were in their regular toy box. Have theme weeks. We will sometimes choose a topic like The Ocean and then theme all of our toys for that week around it. We will borrow ocean books from the library, put ocean animals in the water table and get out our Octonauts toys. You can do this with any theme and it makes a great learning experience as well as being lots of fun. 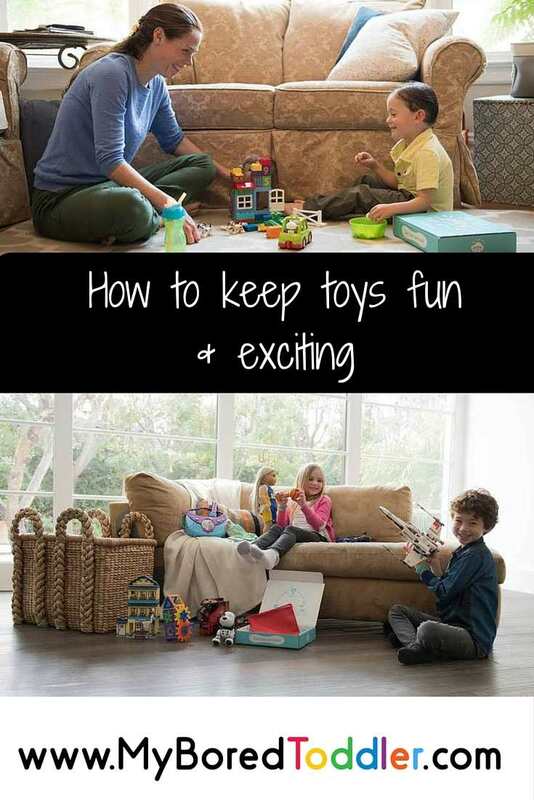 Do you have any great ways to keep toddler toys fresh and exciting? We would love you to share your ideas in the comment below of via Facebook, Twitter or Instagram.